San Francisco officials, as well as health care and substance abuse service professionals, are urging California Gov. Jerry Brown to sign a bill allowing the city to open the country's first supervised injection site for drug users. 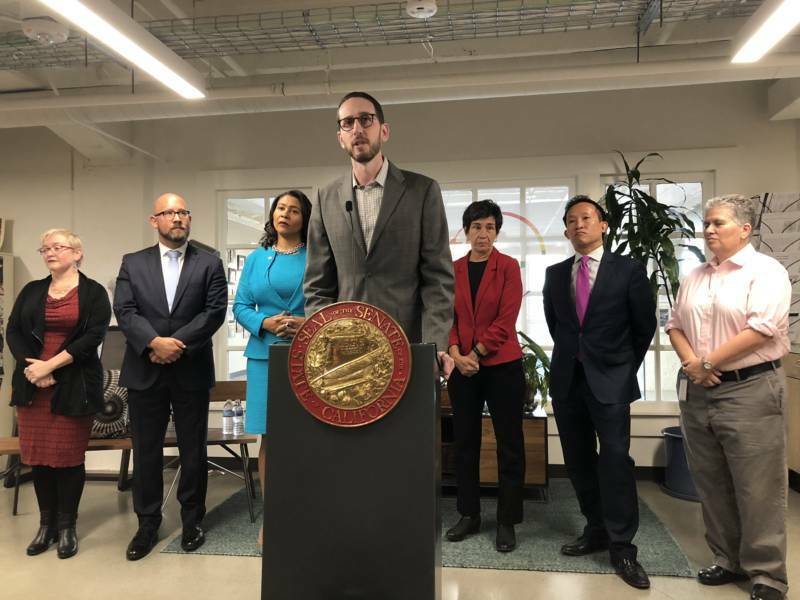 State Sen. Scott Wiener, co-author of Assembly Bill 186 --"controlled substances: overdose prevention program" -- said he's hopeful that the governor will sign it, because Brown believes in progressive alternatives to incarceration. "He understands that the war on drugs failed, that drug addiction is not a criminal issue -- it is a health issue -- and we have to take a public health approach to addressing it," Wiener said at a press briefing Tuesday at HealthRIGHT 360, a drug addiction support organization. Mayor London Breed also spoke at the briefing. Despite some initial skepticism, she said she decided to make the safe injection site bill a priority after visiting a supervised injection site in Vancouver, Canada, last year. "I was very surprised at how impressed I was with not only the numbers, but also the facility," Breed said of the Vancouver program. "Zero overdoses in those facilities, and over 3,500 people referred to detox who have not come back through their system." At a previous briefing outside Glide Memorial Church last week, Breed said opening just one facility in San Francisco could make a huge difference in fighting the opioid epidemic, and could even save the city up to $3.5 million by reducing hospital stays, HIV infections and overdoses. But federal law prohibits illicit drug use, as well as owning or renting facilities for drug consumption. So the bill faces stiff opposition. For example, in an op-ed in the New York Times last week after the California State Senate passed AB 186, U.S. Deputy Attorney General Rod Rosenstein railed against the dangers of injection sites, and said that those who open them should expect penalties. "Violations are punishable by up to 20 years in prison, hefty fines and forfeiture of the property used in the criminal activity," wrote Rosenstein. "Because federal law clearly prohibits injection sites, cities and counties should expect the Department of Justice to meet the opening of any injection site with swift and aggressive action." The bill's supporters are steeling themselves for a protracted fight with the federal government. "We're not scared to push the envelope on public health policy," Wiener said. "Even if the federal government threatens us with criminal prosecution." 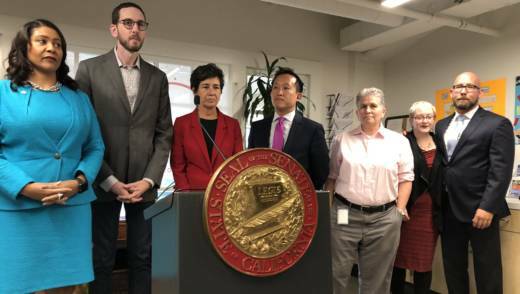 He added that the city has faced off successfully against federal authorities before, when San Francisco was at the forefront of changing policies around such contentious health care-related issues as medical marijuana facilities, needle exchanges and abortion clinics. According to data from San Francisco’s Department of Public Health, there are 22,500 injection drug users in the city. Most of them don’t shoot up in the street. But last year, 193 people died of overdoses in the city. 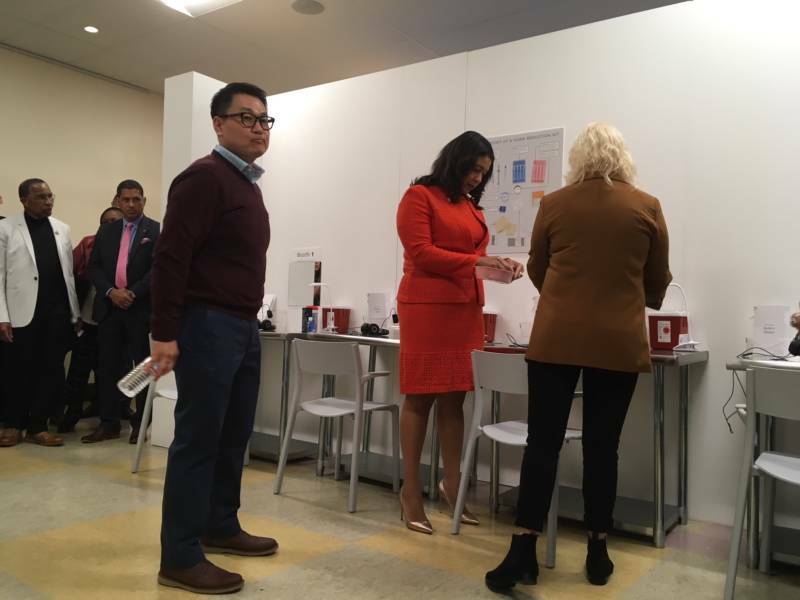 If adopted, the supervised sites will give users access to clean needles, counseling and treatment services in a three-year pilot. Breed said she doesn't yet know when the first site might open. She said that after securing the governor's signature, city officials will focus on combating potential federal government criticism and actions and working on implementing security. "We need to make sure that people who are going to be working at the site are protected," Breed said. The governor doesn't typically comment on pending legislation. His press office said he has until Sept. 30 to take action on the bill.